Sometimes you just haven’t got time to make something decent, but you still want to be relatively healthy. This is where noodles come in. I often make my noodle dishes out of spiralised courgettes or carrots for a lower carb version, but this particular meal was eaten at lunchtime with a big cardio session completed in the evening. A handful of bean sprouts. Place some sesame oil in a wok and allow to heat. Add chopped mushrooms, sausage and tomato and stir for roughly 3 minutes. 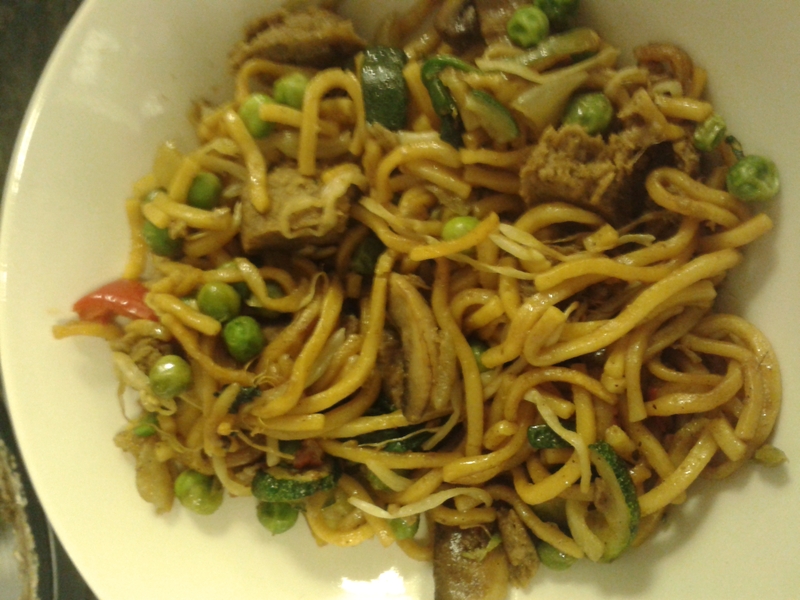 Then add the noodles, bean sprouts and peas and mix in for about 5 minutes. Turn the heat right down and sprinkle with soy sauce before serving straight away.